This deluxe Japanese water stone is an essential tool for any sharpening system. 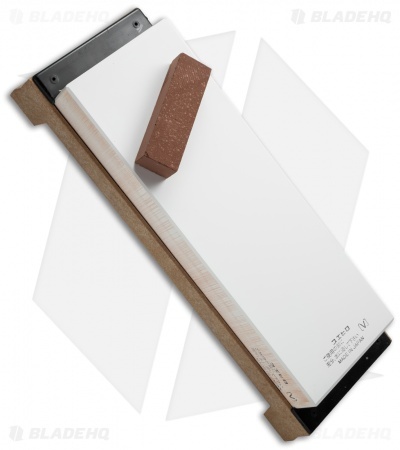 The stone is 6000 grit and uses only water as a lubricant, with no need for oils or pastes. It measures 8.2" by 3.0" and comes in a white color with a wooden base. Once you experience the quality of Japanese water stones you'll never want to use anything else on your knives.